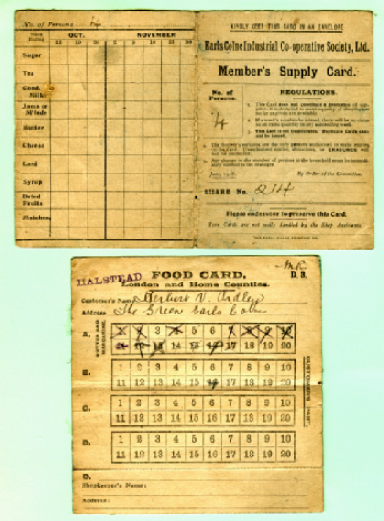 The Earls Colne Co-operative Society opened its first purpose-grocery shop on the corner of Queens Road in 1897. 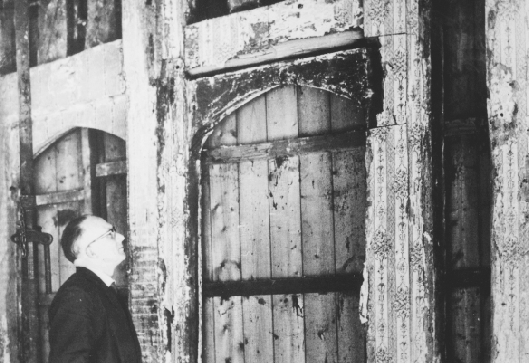 During the alterations to expand the premises in 1931, the first medieval timbers now on show were uncovered, including these carved door-frames. become Manager of the grocery department. 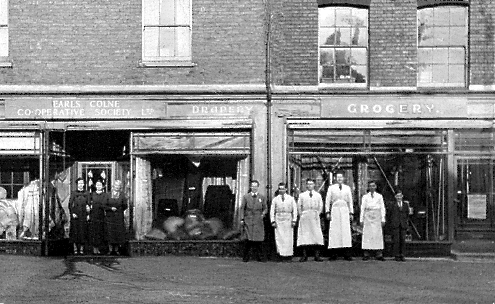 He could remember when the shop still sold wooden clogs for the foundry workers at Hunt’s. 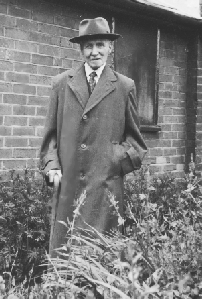 Winsome Grimwood, one of the assistants remembers Jack’s attitude to work. 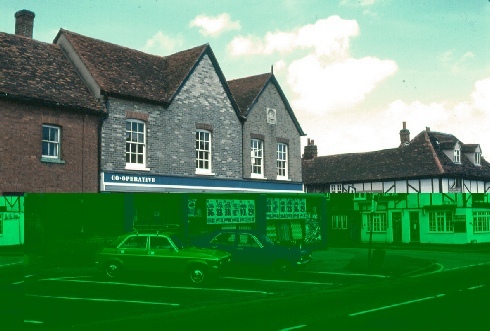 Once the expansion was complete, the Co-op was able to open its own Drapery department next to the Grocery. There were also a large meeting room and offices in the first floor. 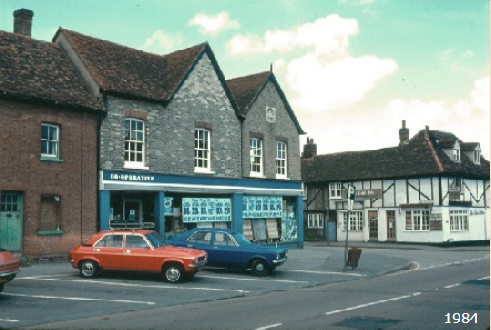 Further expansion took place in 1984 when, what appeared to be three small cottages were added to the building. 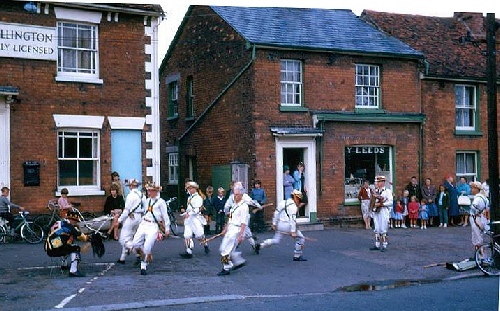 A display by visiting Morris dancers in 1964 shows us ‘The Drum’ when it was still known as ‘The Duke of Wellington’ with Yvonne Leeds’ gift shop next door. 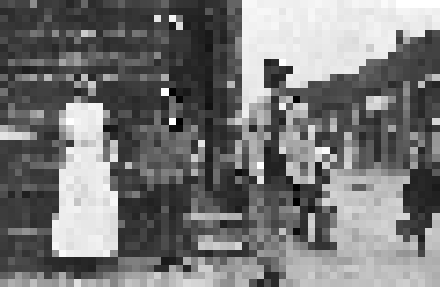 On the other side of the street,the William Hunt Library began in 1854 as a Mechanic’s Institute, to train young men in factory work. 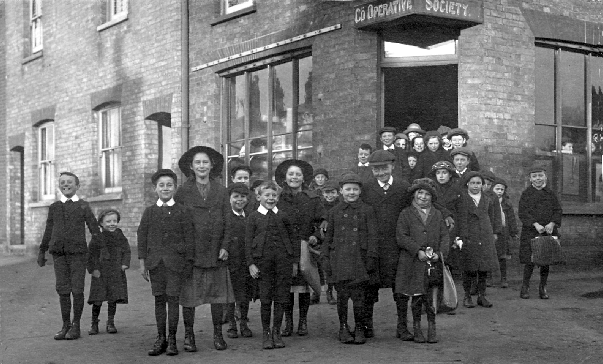 It also hosted public meetings and concerts until the Village Hall was built in 1912. 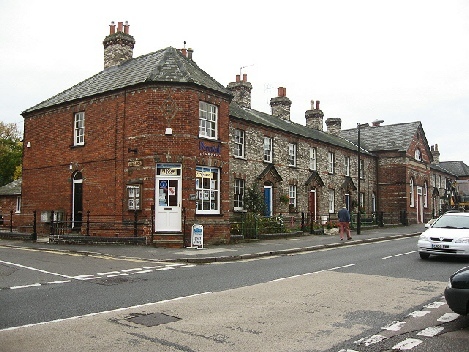 Either side of The Institute, the terraced cottages had a purpose-built shop at each end. 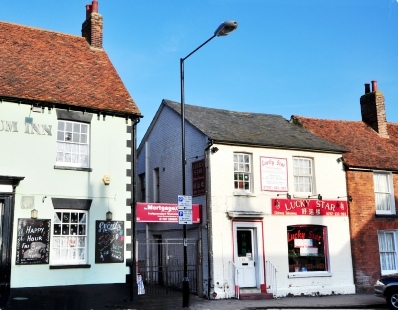 On the York Road corner was the clock-makers shop owned by Mr Ted Mayes, known to the village as ‘Clocky’. 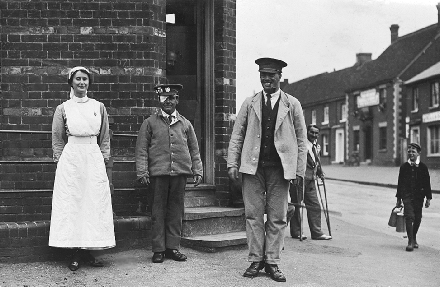 This picture dates from 1917 when the Village Hall was used as a military hospital. 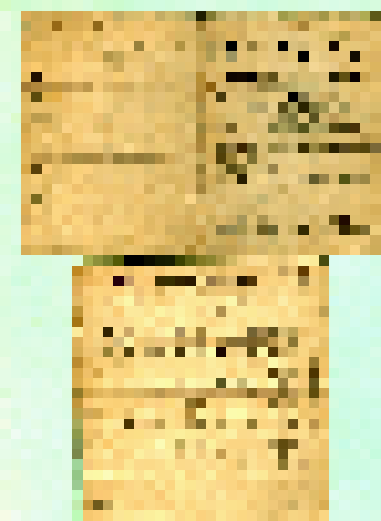 ‘Clocky Mayes’ was paid the grand sum of ten pounds a year to keep the church clock in good order. He lived to be 96 and was climbing the tower each week to wind the clock until six years before his death in 1960. 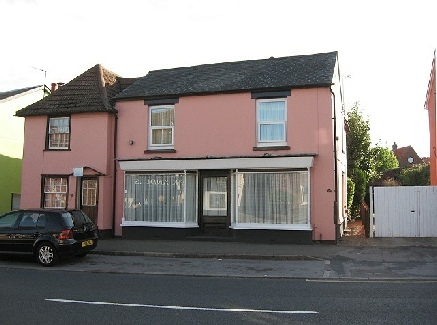 At the other end of the terrace was Jackson’s bakery. Then came Miss Rawlinson’s dress-making workroom. 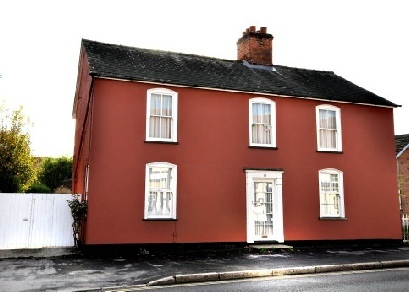 The pair of cottages nearest the camera underwent a transformation in 1910. 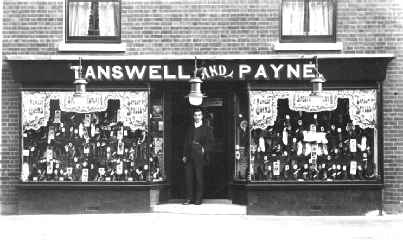 Display windows with gas lamps were installed and the premises became Tanswell and Payne’s shoe shop. 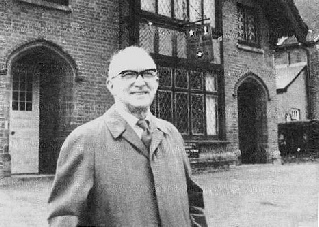 The business continued under the ownership of the Rozzier family until the 1960s. 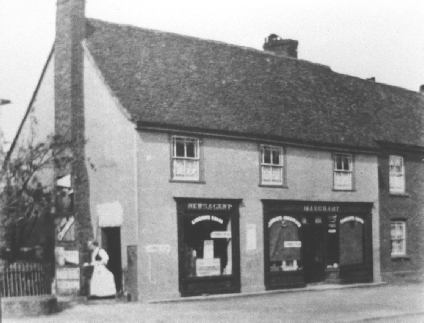 Next door to the shoe shop was the butcher’s shop owned by the Wenden family. In the days before refrigeration, meat was on display in the open air, to keep it as fresh as possible. 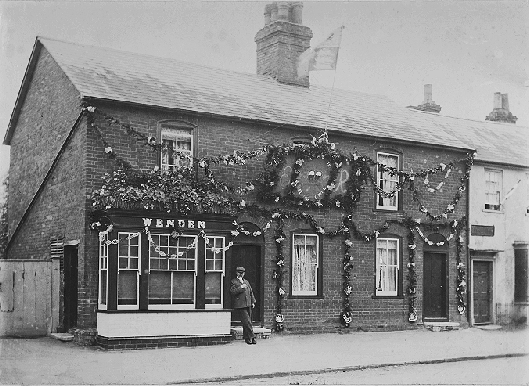 The ‘market stall’ shop front had been replaced with a more modest display window in time for the coronation of King Edward the Seventh in 1902. Crossing the road once more, we return to the shop which featured in the BBC’s ‘House and Home’ film, when it was a Spar supermarket. 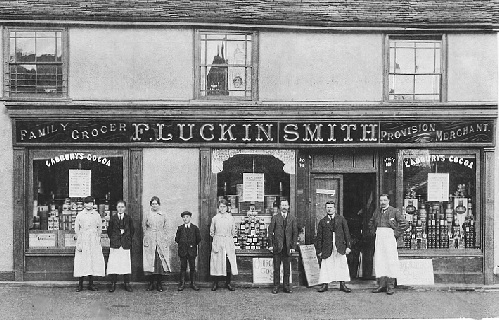 The shop had sold groceries since the middle of the nineteenth century, when it was owned by Mr William Marchant. 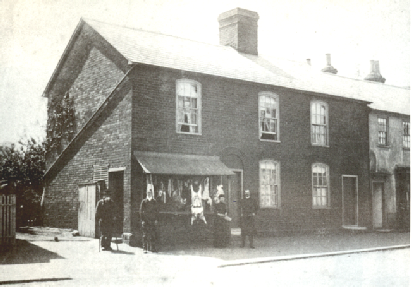 In 1902, Mr Marchant sold the business to the Braintree firm of Luckin Smith, but continued to offer a banking service in his residence, ‘Oxford House’, next door. 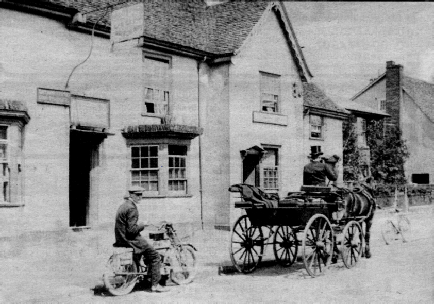 The inn at the top of the High Street had been known as ‘The White Lion’ since at least the 17th century. 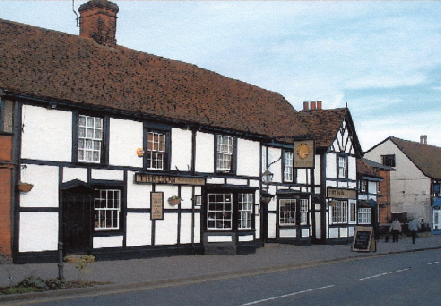 It acquired its distinctive black and white decoration in the early 20th Century when it was owned by Fremlins brewery. 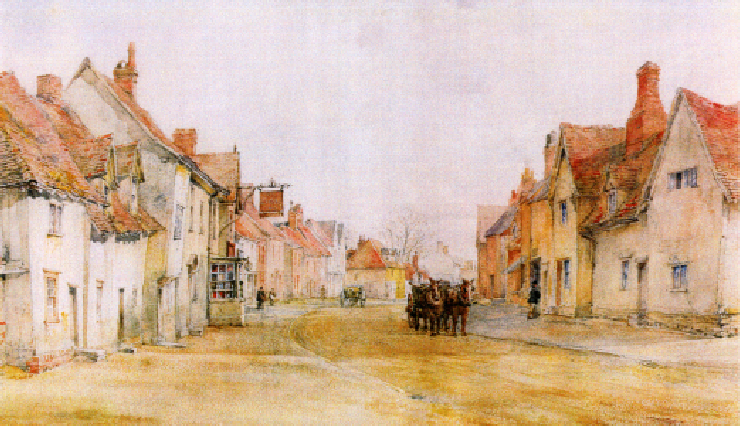 Major Bale’s watercolour of the upper High Street was painted in 1896 looking from the corner of Burrows Road. 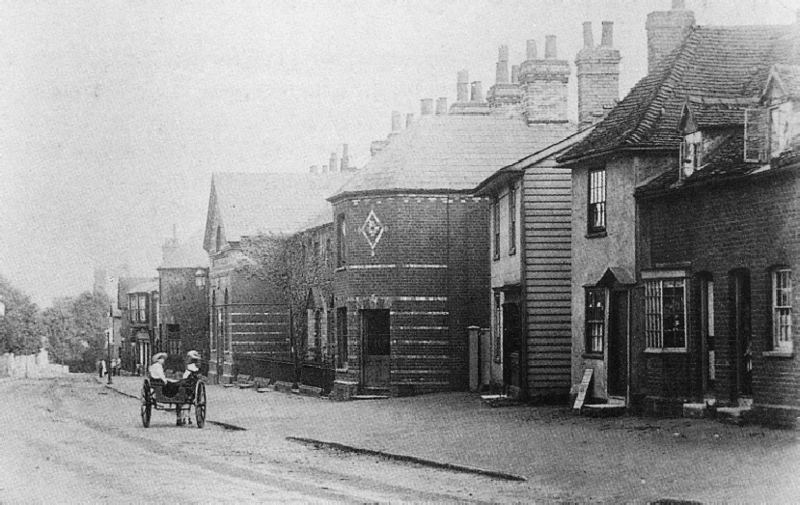 The cottages on the extreme left were replaced by two new houses in 1908 and the medieval house on the right with its two cross wings was demolished in the 1930s.